Dramatic lines and a modern aesthetic make the Bestech Shrapnel a standout in any collection. 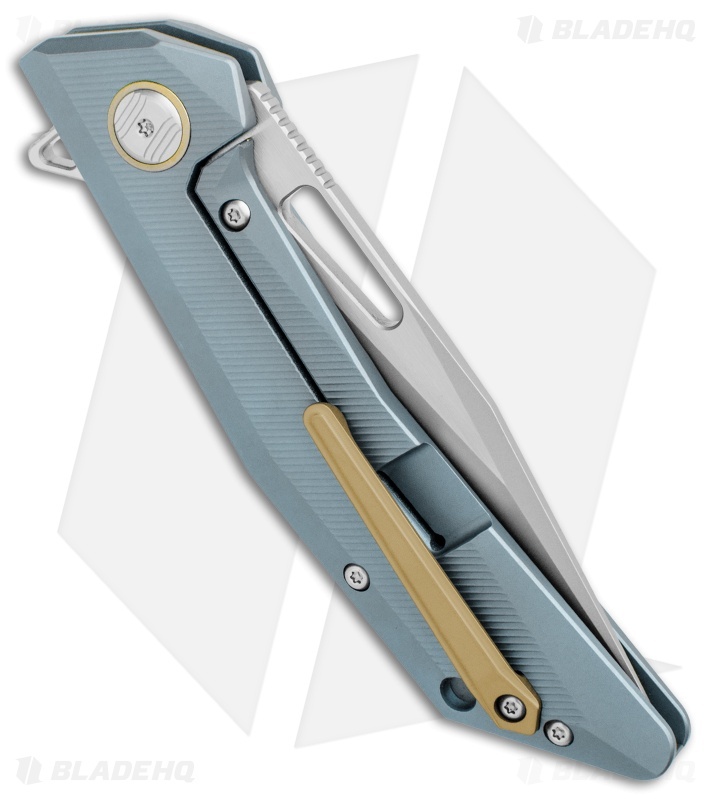 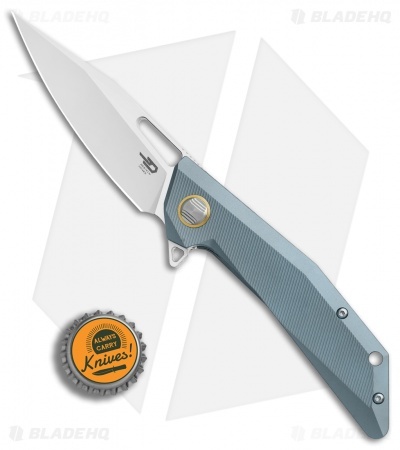 This Shrapnel model sports a blue titanium handle and a satin finished blade. 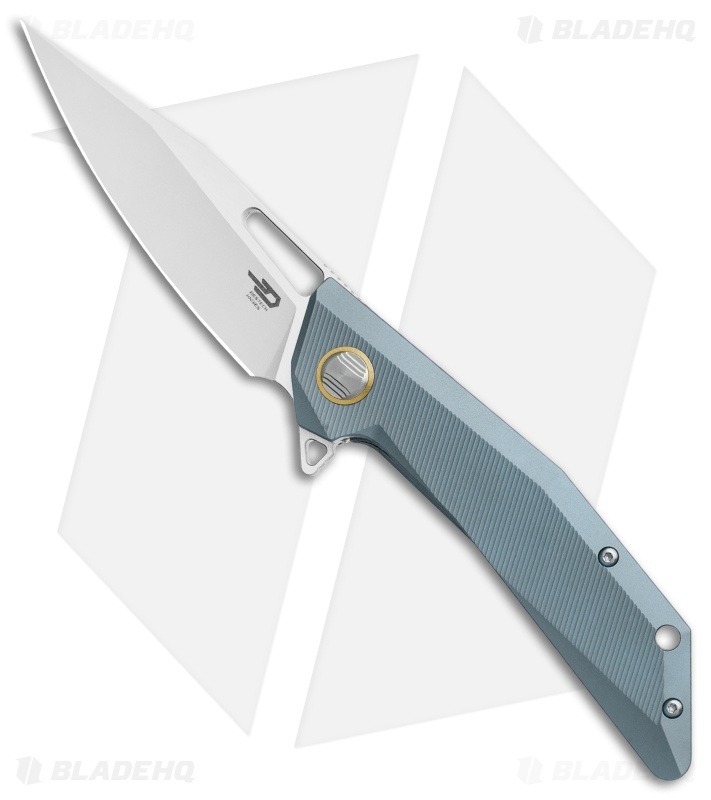 Machine texturing and contouring on the titanium handle offers a secure and comfortable grip. 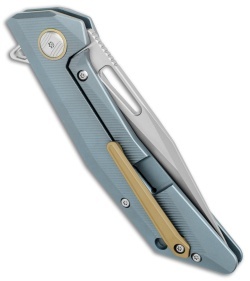 Ceramic ball bearings and a flipper tab provide smooth, satisfying blade deployment. 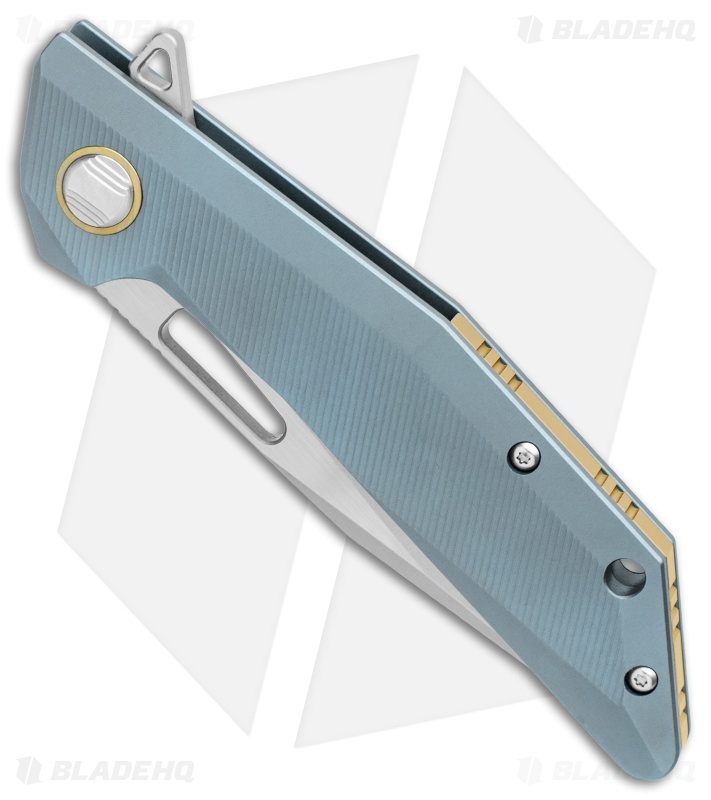 An anodized titanium backspacer and pocket clip complete the solid EDC design. CPM-S35VN blade steel offers outstanding strength and edge retention. 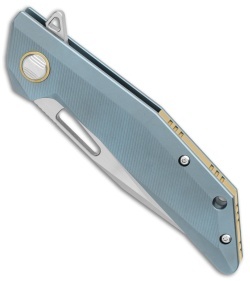 Steel reinforced lock bar provide secure blade lock up. 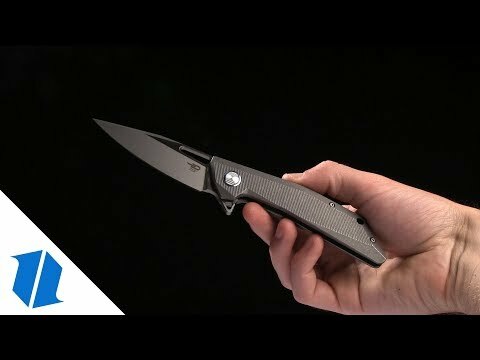 Item includes a titanium pocket clip for secure carry.